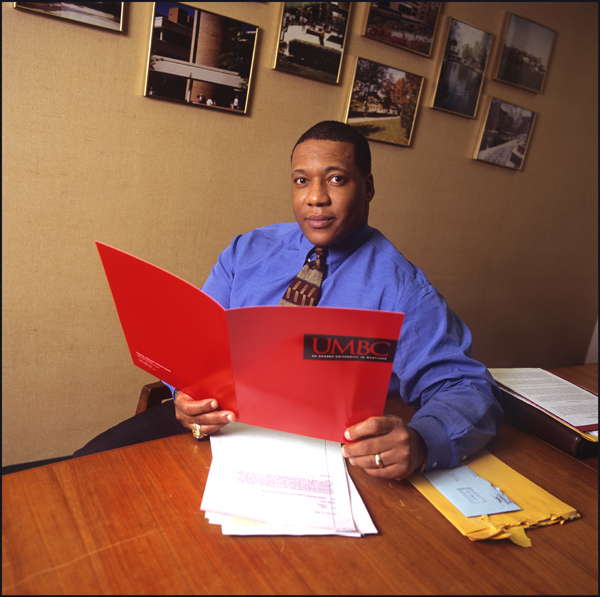 RIP LaMont Toliver « Eric Anthony Grollman, Ph.D.
LaMont Toliver, the Director of the Meyerhoff Scholars Program and Assistant Dean of Undergraduate Education at the University of Maryland Baltimore County (UMBC), passed away yesterday – Feburary 28, 2012. He suffered a heart attack while at work on campus. I am somewhat humbled to say that Mr. Toliver (as I knew him as a young college student) had a tremendously positive impact in my own life and career. And, unfortunately, I am only now realizing and reflecting on his support. I was a Meyerhoff Scholar through my freshman and part of my sophomore years. But, I made the difficult decision to leave for a number of reasons, primary among them that the program’s focus on the STEM fields (science, technology, engineering, mathematics) failed to include support for the social sciences. This is meant as no critique; the program was developed specifically to advance people of color into graduate training programs in these fields. Though I came to UMBC as an eager mathematician-in-training, I realized my love of math was actually the confluence of being good at math and liking my high school math (and science) teachers. By my sophomore year, I was ready to leave the Meyerhoff program to pursue my passion (which, I eventually realized was sociology). The director of the scholarship office shared with me her conversation with Mr. Toliver. She explained that he said nothing but positive things, and strongly recommended that UMBC grant me another full scholarship. Though he certainly had in his court a few reasons to cast doubt in this decision, he extended his support for me. I am saddened to see that a mentor and advisor who has touched so many lives, like my own, has left this world at the young age of 49. His loss is one to his own family, as well as the Meyerhoff family and UMBC community. I wish I had thought sooner to send him a card, or email, or call him just to say thanks. But, for what it’s worth — Thank you, Mr. Toliver. Thank you for your support, encouragement, tough love, and faith in me. Rest in peace. By Dr. Eric Anthony Grollman in Academia on February 29, 2012 .